As the ways to absorb content continues to expand — social media, mobile offerings, new review sites and more — new ways to access information will continue to influence the average consumers’ car buying expectations. In fact, Shawn Vording, director of project management at CarProof, says technology is the top reason why customer expectations have changed in the past decade. 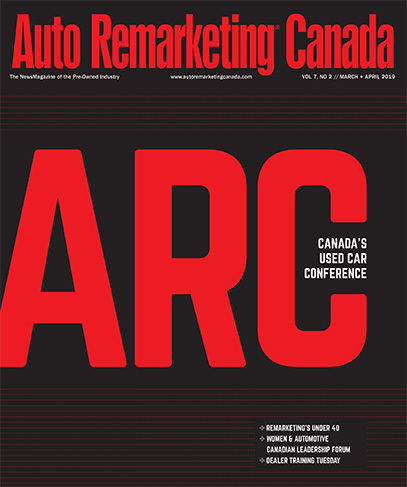 “A consumer that has taken the time to research and educate themselves not only will know more about a certain make/model/year than most sales people, but will also know more about a specific car sitting on a dealer’s lot than most sales people,” Vording told Auto Remarketing Canada. The online environment helps to put consumers more in control of the sales process and poses new challenges for dealers looking to ensure customers leave happy and satisfied. Shoppers are now familiar with information such as: new models, vehicle reviews, safety rating, MSRP, list prices, supply and demand, interest rates, incentives, residual value, aftermarket warranties, total cost of ownership, average cost of repair, your inventory, competitor’s inventory and more. And this type of knowledge can increase customers’ expectations tenfold. These days, dealers can have an effect on customer expectations before the customer even makes it onto the lot, through mobile offerings, websites, search ranking and more. Keep this statistic in mind: Ninety-four percent of all used-car purchases start their search online, Vording pointed out. “Dealerships that concentrate on SEO, maintaining their online reputation and differentiating their business and product from competitors online are setting a virtual expectation,” Vording said. He pointed out the online experience needs to be examined and held to the same standard of customer service as the dealership environment. This trend, of course, may make dealers’ and sales-peoples’ jobs a bit more difficult, but if you step up to the plate, customer loyalty is within your grasp. In fact, Vording says satisfying customer expectations is crucial to ensuring customer loyalty. On first transaction, a “satisfied” customer has a 22 percent chance of returning to your business. A “completely satisfied” customer has a 70 percent chance of returning. One of the keys to reaching past the simply “satisfied” marker is making sure every element of the dealership is working as a team. “The difficult environment that exists in a dealership is that there are multiple departments with separate business goals that impact sales, the business office and service. It is critical that there is accountability and a way to measure the impact every department has on the customer experience to ensure that all employees who interact with a consumer are contributing to improved customer satisfaction,” Vording said. “A culture of exceeding expectations is necessary, which involves visible leadership from owners and managers, a way to measure employee and department performance and on-going training and recognition for employees,” he continued. When highlighting opportunities to ensure customer satisfaction, Vording pointed out some of the service department’s potential remains untapped. “There is a tremendous opportunity in the sales process to better utilize departments within a dealership — service, body, parts. There is no arguing the business logic (of its importance) on the front end of the sale, post-sale and future sale,” he said. On top of using the service department to ensure customer loyalty, all dealers know used inventory is hard to come by these days. But by connecting there service department to your customer-satisfaction strategy, dealers may find trade-ins and second-time buyer numbers increase. “In order to capitalize on the above opportunities and create an ROI on no-charge services, dealers must have process in place which starts with strong relations interdepartmentally, improved training and expectations for customer facing staff, and technologically powerful database management/integrated CRM to manage the opportunities,” he said. Vording also covered a few challenging areas that might make or break a deal and/or hurt customer expectations. One of these challenges, of course, is the price negotiation process. “There are two points of potential contention that exist within the negotiation process: What is my trade worth, and what am I paying for my new/new to me car?” Vording pointed out. Because vehicles are one of the few consumable depreciating products that exist today, price discrepancy can cause very real problems when it comes time to close a deal. Because of this, Vording said, many dealers are transitioning to a business model that prices the cars competitively, and there is no negotiation. “Success with this business model relies on very accurate buying and pricing as well as a strong marketing/awareness campaign to attract consumers,” Vording said. CarProof expects that predictive pricing models will continue to improve through data and technology, and dealers will successfully transition to a no-haggle format in the future. As for the trade-in side of the transaction, there are many tools, such as CarProof’s RECON, that calculate the cost of reconditioning a vehicle. “The product has been designed to assist dealers in demonstrating the costs that are associated with getting a car front line ready from trade-in status and disarm the consumer’s expectations by leveraging transparency through the CarProof brand,” he explained. Regardless of what tool you choose to use, being able to provide the data behind a trade-in price will prove helpful with today’s informed auto buyer. “For both sides of the transaction equation, transparency and education combined with solid purchase and pricing practices make the buying experience positive for the consumer,” Vording said. Lastly, financing can also throw a wrench in customer satisfaction. Vording says this does not pose quite as much of a problem, though, as legislation in most provinces is geared to create transparency when a dealer arranges financing for a customer. Vording said dealers can avoid trouble at this step by introducing the finance manager to the customer and having their first point of contact — the salesperson — engaged and present in the process. Overall, creating transparency in the negotiating and financing process is key to customer satisfaction and making sure that customer comes through your doors again.